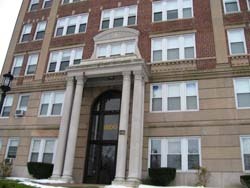 At the intersection of Commonwealth Avenue and Chiswick Road in Brighton, Fineberg Companies operates a three-entryway classic brick property of 108 units at 1800, 1810 and 1820 Commonwealth. 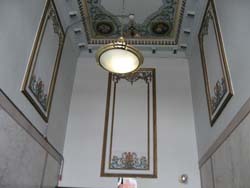 The building has elevators serving its six floors of one- and two-bedroom units. 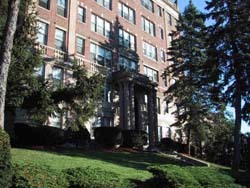 It also has handsome and well kept landscaping and sits atop a knoll opposite the Boston College streetcar line. It is very conveniently located around the corner from Cleveland Circle, with that neighborhood’s abundance of retail shops, restaurants, consumer services and recreational resources. Limited on-site parking is available. The area is culturally active, family-centered and friendly.